If you’re looking to save money on dental expenses for yourself, your family, or a group you represent, a dental savings plan is the way to go. You can save between 10 and 60 percent off your bill at the dentist just by being a member and paying a small monthly premium. More than 100,000 dentists are part of a nationwide network of providers that allow patients to save money by presenting their dental savings plan card. That means there is an excellent chance that your dentist is part of the network. Many dental savings plan providers allow you to complete an application online. You can print out your membership card and begin using it to save money right away. You simply present your card to a member of the dental office staff to receive an immediate discount. There is no paperwork to complete and no waiting for reimbursement from the plan administrator. 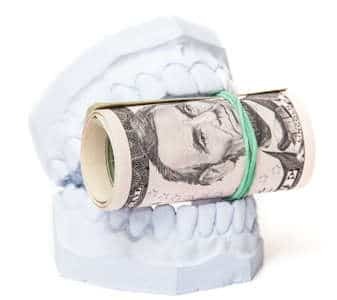 When you owe a bill for dental implants or the work you had done cost more than expected, it can be difficult to come up with your portion of out-of-pocket expenses. Like many people, you probably don’t think beyond your bi-annual trip to the dentist that is normally covered by dental insurance providers at 100 percent. That leaves you in a difficult spot when you must deal with sudden trauma to the mouth or extensive treatment of an oral health condition. A dental savings plan helps you manage these costs while providing valuable peace of mind at the same time. If you have additional questions about dental savings plans, start by asking your dentist. He or she will get you pointed in the right direction.